Just a couple of weeks ago the Guardian declared Manchester not only to be a city with it’s cultural head screwed on but also stated that it is paving the way forward when it comes to Art and art establishments. 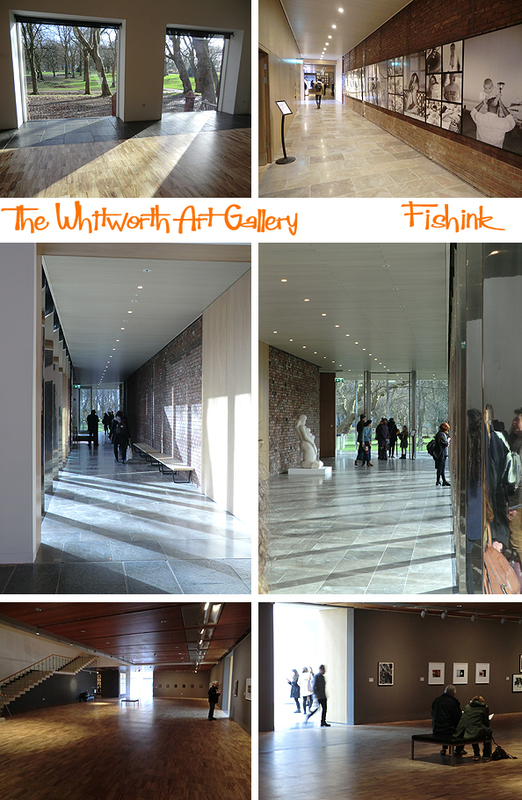 With a 15 million pound refurbishment nearing completion, The Whitworth (who is a mere 125 year old) recently reopened it’s doors to the public. I popped along to have a look for myself and was pleasantly surprised. It’s was strangely comforting to be greeted by fabrics at the Whitworth, as it’s a place that I associate fabrics with. It has always exhibited, and taken a great pride in promoting, Manchester’s manufacturing heritage in Textiles. A Lucienne Day design ‘Herb Antony’ from 1956 (top right) and others by Liberty & Co from around 1890 make for a harmonious display. ‘Display’, ‘light’ and particularly ‘space’ have always been key words I’ve carried in my mind, as I’ve previously walked around exhibitions at The Whitworth. It’s always struck me as a beautifully warm environment and I was delighted to see that it hadn’t lost that intimate feel with it’s fresh refurbishment and additional new areas. I noticed the slightly less formal way of hanging the art too. 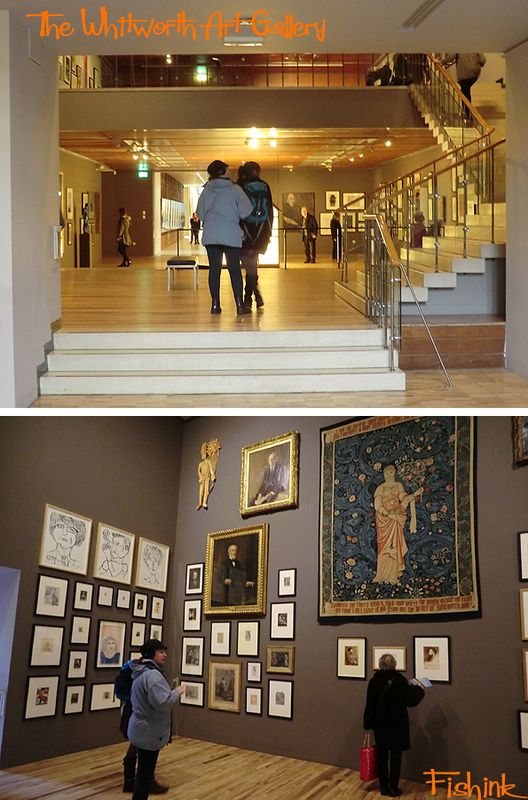 Mixing the old with the new and somehow being a little less precious when showing tapestries next to etchings and drawn illustrations snuggling up to oil painted masters. I feel that it all makes things a little more accessible for a modern audience. Being situated in a park and having such huge windows, always allows the interior and exterior of spaces to meld together. Almost suggesting that mother nature is also exhibiting here lol The long glass cafe block, even extends out amongst the trees, so you can almost feel you’re having tea and cake with the birds and squirrels ! 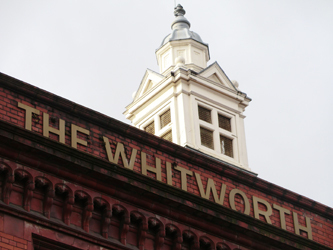 The above photo (taken from the Whitworth website) shows the cafe stretching away into the distance. Seeing such warm, calming interior views, for once I was thankful that I hadn’t gone to the opening, alongside the other 18,000 people who turned up ! This marble couple don’t appear to be too bothered by their modern string bindings, and I liked the colourful reflections from this rotating glass hanging too. I also enjoyed Cornelia Parker’s ‘Rorschach’ (Accidental 1), showing 52 silver plated objects that have been crushed by a 250 ton industrial press and then suspended on wires just above the floor. Also her ‘Cold Dark Matter’ An Exploded View (1991) currently on loan from the Tate. For me the objects themselves were immaterial but the shadows and that feeling of an explosion caught and momentarily frozen in time, were amazing. Lovely to see school children in the room trying to draw sections of it too. And staying on the theme of explosions, or rather gunpowder, is the fabulously huge art piece by Chinese artist Cai Guo-Qiang. 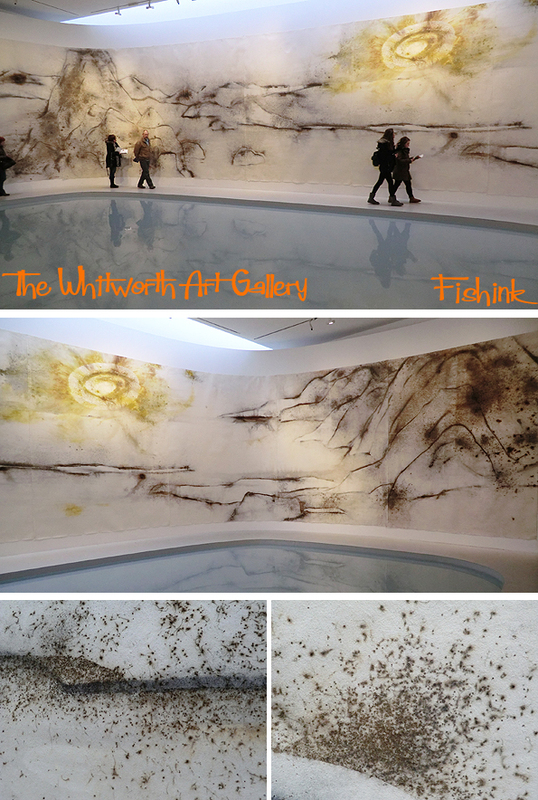 The process of making gunpowder drawings is extraordinary. After laying out large sheets of paper on the floor, Cai Guo-Qiang arranges gunpowder, fuses and cardboard stencils to create forms on the paper’s surface. The spontaneity of the resulting explosion, flames and fumes are controlled through the use of wooden boards, rocks and various other materials, which influence the impact of the explosions that create the final work. The landscape forms of Unmanned Nature (below) reference 14th-century Chinese ink and wash paintings, while the scale of the encircling installation parallels Monet’s Water Lilies. Serene and truly beautiful and possibly my favourite piece of the day’s visit. 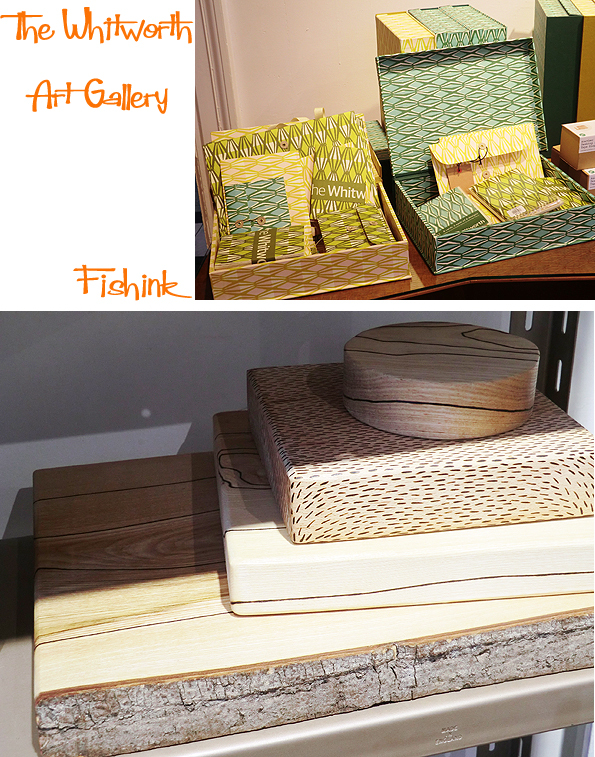 With not one but two little gift shops and a fine new range of Whitworth stationery products, you’re certain to go home with a little more than you came with. I also had a chance catch up with Simon and Angie Lewin who were there admiring the new gallery space, how’s that for timing. 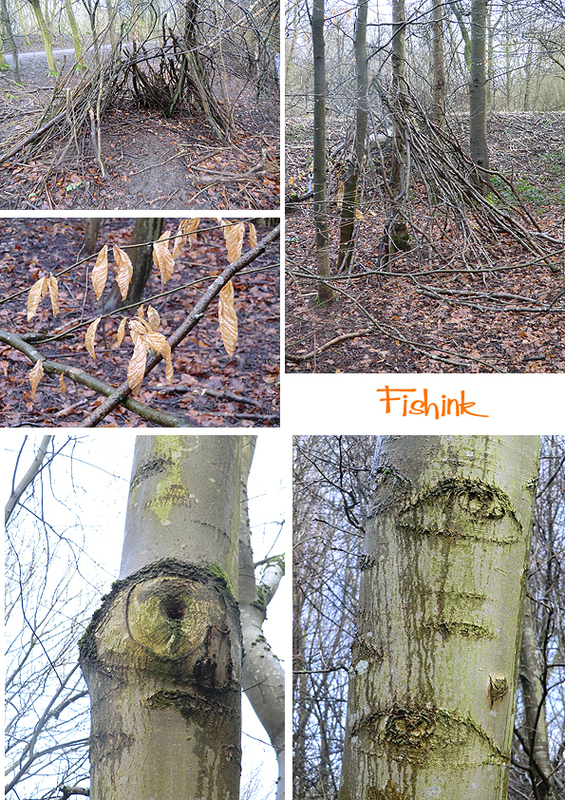 I took a stroll in the woods afterwards to gather my thoughts and be watched by the eyes of the trees. A splash of sunlight to make the raindrops on the branches shine like crystals, and perhaps, just perhaps the early feel of spring maybe in the air ! There’s always hope : ) A grand day out Gromit ! Thanks for sharing all the in about art. I look forward to reading about the artists in British Isles. 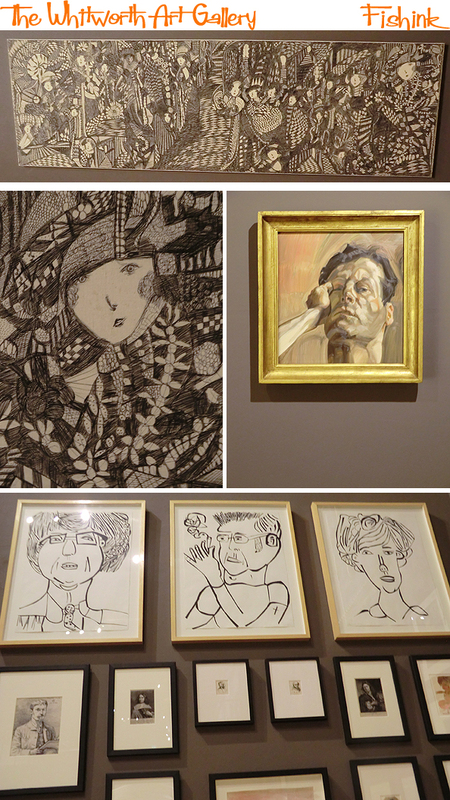 What a wonderful gallery. Your final stroll in the woods complemented the exhibition”Arboretum ” at the Royal West of England academy which I went to today. 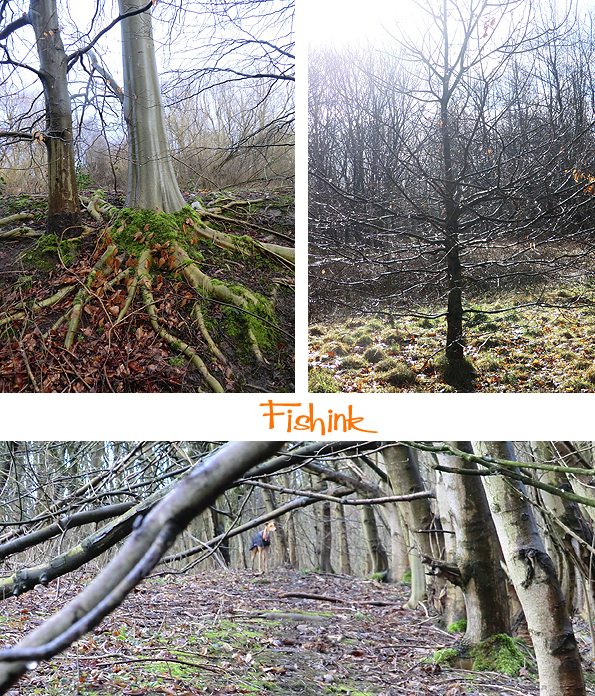 A lovely exhibitiuon celebrating trees. 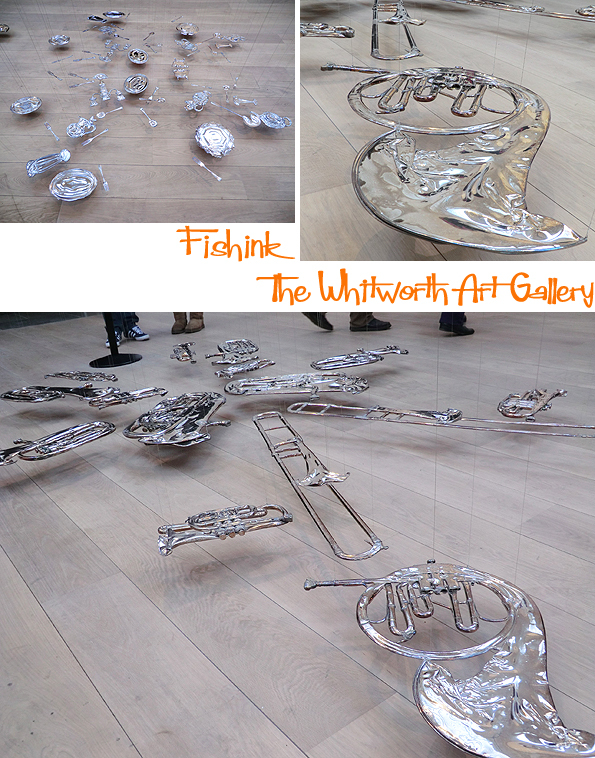 After this review a visit to The Whitworth is definitely on my list! And hopefully a walk in the woods too if I’m lucky!! 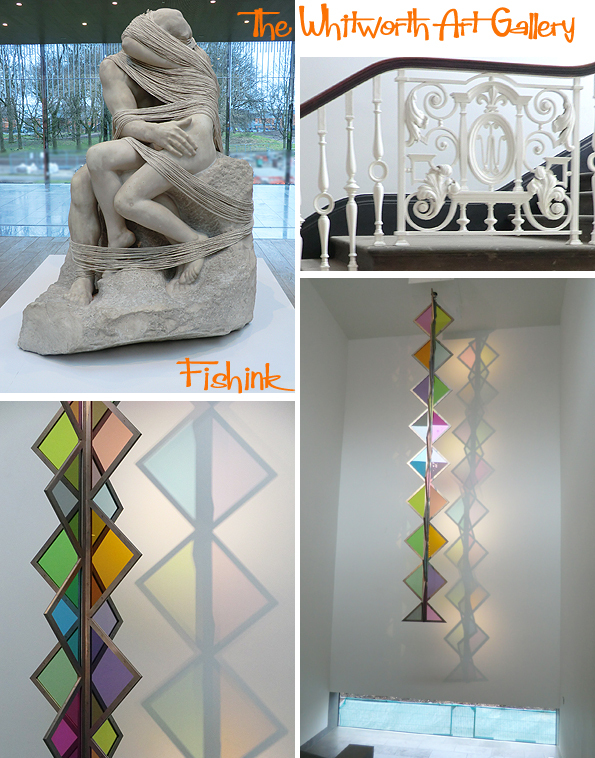 A great post and some lovely insights into the newly refurbed gallery! Thanks! THANK YOU for this beautiful presentation of the Whithworth. 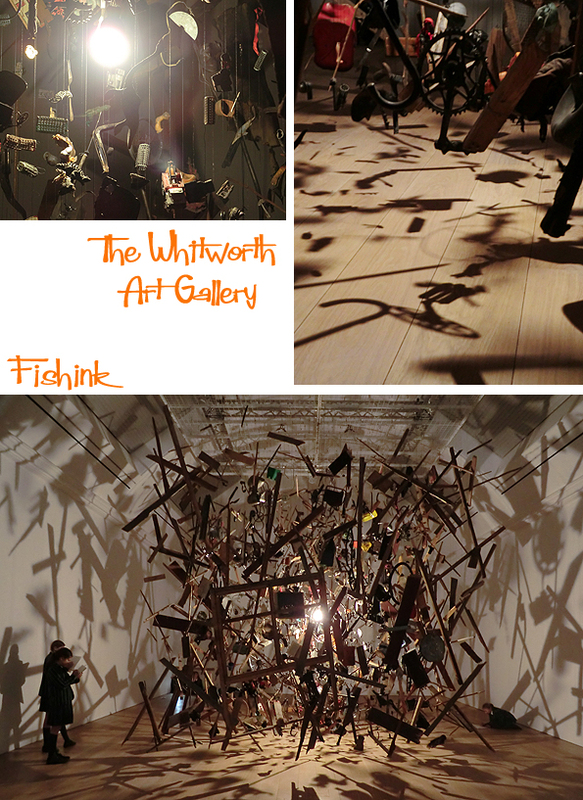 I will be going there in the end of this month, primarily to see Cornelia Parker (whom I’m writing an essay on), but I really look forward to seeing the rest of the museum as well. I’m travelling from Norway and will be staying in Manchester for 3 days – is there any other art-places in the area you would recommend? Hi Sigrun, wow that’s exciting. I presume you’re meaning the end of March ? Great news, perhaps you can share some of your thoughts about Cornelia on the blog as a guest post ? Anyway the City Art gallery is always worth a visit, the special collections at MMU has a great exhibition called Image and Word but that ends on the 27th March. 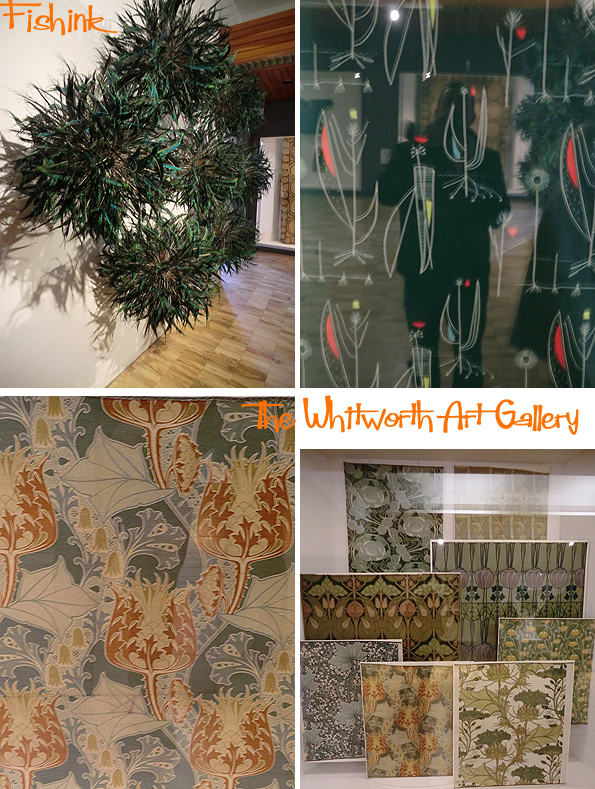 The Whitworth (of course), Manchester Craft and Design Centre in the Northern Quarter or perhaps if you’ve time you can also plan to do a day trip to Liverpool (35 mins by train) and see much, much more ! A few ideas, if I can help any further do let me know. Great & yes – the end of March 🙂 25-27 to be more specific – which means I should also be able to visit the Image and Word exhibition. I do my “serious” art-writing in Norwegian, but if I come up with something of interest I can send you a note – and we can maybe discuss it together? So pleased I’ve introduced this wonderful gem to you Rachel. Let me know what you think once you get there. How fab, thanks Craig, you’ve made me feel less guilty about being put off by the huge queues at the opening. Can’t wait to visit! Time for another trip to Manchester! Some great galleries there. That would be lovely- don’t know when I will get there as we are moving and it is fraught with horror……but I will let you know!